"Young people can change the world!" These words spoken by a youth representative from the Municipal Volunteer Network in Cuenca, Ecuador, made me think. In general, young people are told that they have the power to make a difference and create a better world, but this is often just left in words. How can youth really contribute to the development of their societies? My name is Isabela, I am 23 years old, and I am of American and Ecuadorian nationality. I left the United States in July of 2016 to join the United Nations Volunteers (UNV) programme to explore how youth are contributing to the development of my second home, Ecuador. This is how I got to participate in the First Regional Meeting of Youth Volunteer Networks in Cuenca, where I had the opportunity to interact with young volunteers from Latin America and learn how volunteering contributes to the achievement of the Sustainable Development Goals (SDGs) in the region. I spoke with young people from different volunteer networks in Bolivia, Colombia, Ecuador, Guatemala, Mexico, Peru and Venezuela, and I learned that volunteer networks provide spaces for dialogue in which youth can exchange experiences and put their ideas into practice. This allows youth to not only share their knowledge with people from different organizations and communities, but also break the boundaries that exist between different countries. Gender equality, migration, discrimination, lack of job opportunities, the rights of the LGBT community and the challenges faced by young people living with HIV are just a few of the issues that concern and motivate young people today. 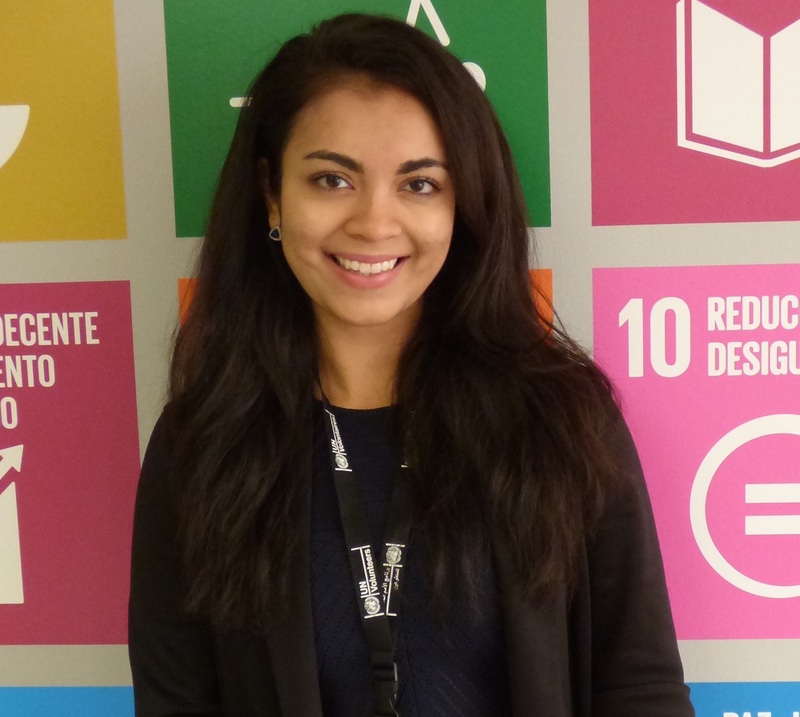 A project called "Youth in Action 2030” provides young people in Latin America the opportunity to change the world through participation, implementation, monitoring and evaluation of the SDGs. This project demonstrates how youth can turn from spectators to protagonists that create great changes for the benefit of humanity. I am convinced that the SDGs cannot be achieved without the participation of young people in building more equitable societies that promote social inclusion. Youth in Latin America are no longer limited or defined by a single cause or a specific organization – their actions are as diverse and as creative as themselves. They are creating change through volunteering every day from social action, activism, awareness and direct action. We have volunteers who are still working in the areas affected by the earthquake last April in Ecuador to improve the lives of vulnerable communities, increase the participation of women and enhance children's education, among other things. Some of them are part of UNDP’s “En Marcha” programme, working to create a positive impact on the productivity and the economic development of the most affected areas, specifically supporting micro and small enterprises. Youth that get involved with UNV Ecuador believe in the power of volunteering, and that their actions are part of a larger solution. Many of them leave their comfortable lifestyles and travel far from home in order to contribute to a greater cause. My question regarding the role of young people has been answered. Volunteer networks allow young people to be part of the solution and become actors of change. Volunteering means: INSPIRING, COMMITTING AND ACTING. Do you want to know how to change the world? The answer is simple: be a volunteer!